Of all the things that have happened over the last two weeks, it’s not the biggest problem. But it has been gnawing at me. I believe it actually is a big deal, albeit in a somewhat oblique way. Let’s start with Senator Susan Collins today on CNN. 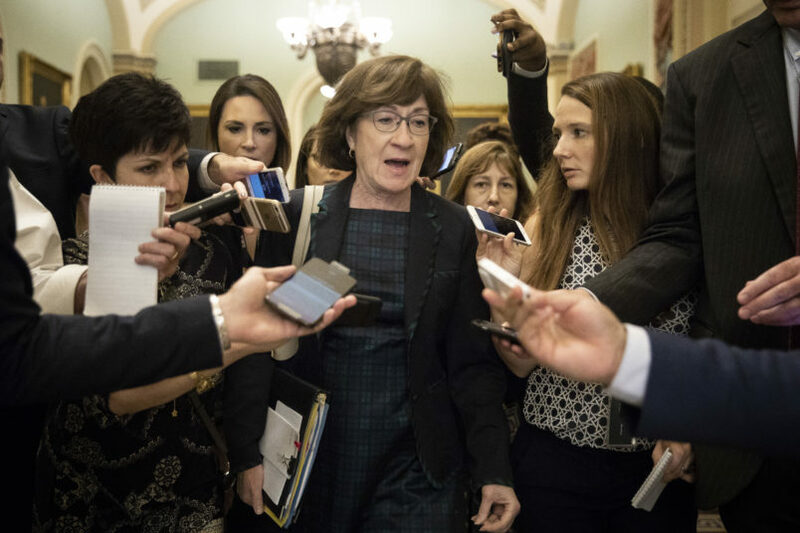 Collins told Dana Bash: “I do not believe that Brett Kavanaugh was her assailant. I do believe that she was assaulted. I don’t know by whom. I’m not certain when.” I focus on Collins only because it is a simple, clear statement. But the great majority of Senate Republicans have made some version of the same argument. So let’s just say it. This is a preposterous. It’s possible Blasey Ford is lying about her account. I doubt it, given the evidence we have before us. But it’s possible. What is extraordinarily implausible is that Blasey Ford was attacked, clearly identified the attacker as Brett Kavanaugh, someone she knew reasonably well, and yet somehow confused him with someone else. This isn’t a case where she’d never met Kavanaugh before and picked him out of a line up. That kind of misidentification is plausible and happens. This is different. She already knew him. She knew what he looked like and she has a clear recollection that he attacked her. If someone you know violently attacks you or sexually assaults you, the identity of the person is indelibly fused into the memory because they are inseparable from the act. We don’t have to get overly technical about this. The point is obvious. If you know someone well and they attack you, you’re going to know it’s them and basically be certain about it. But Collins doesn’t stop here and neither do her colleagues. She is not only sure Kavanaugh didn’t do it. She is also not sure “when” it happened. She and her Republican colleagues suggest that Blasey Ford may have been attacked at some different point in her life altogether – maybe in college? maybe as an adult? – and transposed it back on to her early teenage years. This is more parlor game hypothetical than anything that is remotely likely to be true. There is the phenomena of ‘recovered’ or suggested false memories, often in young children. But those memories are false. There’s really little basis to believe this in Blasey Ford’s case. She wasn’t at a pre-school gripped by parental moral panic, with zealous cops or social workers whipping false memories out of her. But if you really believed this was a false memory, the logical conclusion would be that she wasn’t in fact assaulted. So why is virtually every Republican going with the least plausible – verging on extraordinarily implausible – theory? Simple. It’s a poll-tested, reverse engineered theory that solves key political problems even though it’s almost certainly not true. Blasey Ford was sympathetic and highly credible in her testimony. She had taken and passed a lie detector test. She described an event populated by Kavanaugh’s 1982 friend set, something all but impossible to achieve if she did not at least know him fairly well at the time. Republicans knew that for Kavanaugh to be telling the truth, Blasey Ford had to be lying. Remember. She didn’t pick him out of a line up. It really can’t be a good faith misunderstanding. She knew him. She was sure it was him.